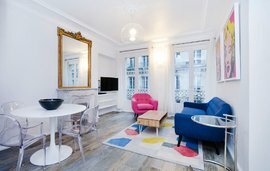 Are you looking to buy a apartment in Paris? 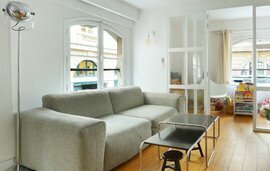 Find the perfect Paris Apartment. Throughout history, landmark architecture, incomparable gastronomy, and countless other Paris attractions have charmed property buyers from all over the world. Our Winkworth Paris property experts are no exception. For us, nothing compares with leaving the train at the Gare du Nord to be greeted by breathtaking views of the Notre Dame and the Seine. 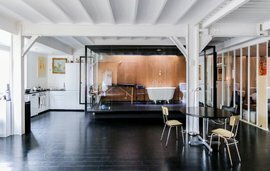 Apartments in Paris’ central arrondissement districts are now more desirable than ever, as the city evolves into a major European business hub. Home to numerous Fortune 500 companies and humanitarian organisations, Paris also contains what is currently the biggest bond market in continental Europe. Having made ongoing investments in its transport links, healthcare and education, this romantic “city of light” also offers heavyweight international credentials. 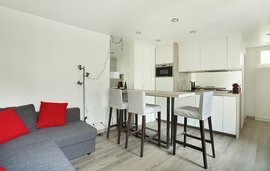 If you’re looking to capitalise on your property investment, you’ll be pleased to know Paris apartments are a Winkworth speciality. From first arrondissement pied-a-terres near the business district to elegant Hausmann apartments in the eighth and quirky properties in Batignolles – in the seventeenth – there is a vast array of property appealing to family buyers, buy-to-let investors and professionals. The Winkworth International portfolio of apartments for sale in Paris reflects our position as the international agent of choice for discerning buyers and sellers. Many clients seeking an expert brand have benefited from our longevity in the Paris property market. 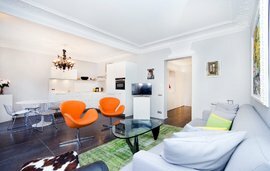 Whatever your real estate needs in Paris, we’re happy to help you.